But in this blog post, I’m going to dive deep into the differences. Like everything in life, there are pros and cons to both sides of the coin. My goal for this post is to educate you on the four crucial angles most people don’t think about when considering an agency vs. an in-house hire. This is easily the number one variable you think about. And from a high-level view, it often favors an in-house hire. For example, if you were looking to hire an inbound marketer, Moz says you’d be looking at an average salary of $84,000. But from our experience, this would be for the big-city inbound marketers. On average, you’d probably pay a starting inbound hire around $50,000. That said, if an agency would cost you $72,000 for the year ($6,000/mo) – to cover your email marketing, website design and growth, blogging, lead generation and more – then an in-house hire sounds like a $20,000 cushion. If it was all about the money then we could call ourselves Jerry Maguire and call it a day. Unfortunately, there are a few more angles to consider. This one quickly lowers that hypothetical $20,000 gap. How long will it take until they fully understand your business inside and out? How quickly will they learn all the software, terminology and skills necessary to run successful campaigns? At Flight Media, it takes approximately 12 months for a marketer to get a full understanding of everything we do. That includes software programs, strategies, implementation, etc. (We have pretty high requirements, though.) Most small businesses (<500 employees) spend an average of $1,888 in year 1 just to train an employee. From our experience, it’s much higher than that, but we’ll roll with the statistics to be conservative. Continuous learning in the digital marketing arena is expensive. Send your marketer to Inbound in Boston (the largest 4-day marketing conference on the planet) to keep your campaigns cutting-edge and you’ll have $2,500 invested in it quickly. $1,699 for a ticket + Travel + Accommodations + Food. Want them to get inbound marketing certified with Hubspot? 15 hours. Want them to take a course on Facebook advertising? 40 hours. As Flight Media started growing its marketing and design team, I didn’t think about all the software fees that would come into play. I did not include the cost of software like Hubspot, SEMRush, or a social media management software because those will be needed regardless. These software programs are essential to successful inbound marketing management. For every one you don’t have, you’re shooting yourself in the foot. Trust me. I did that once or twelve times. Hate paying matching employer taxes? Hire an agency. *Quick disclaimer: I’m not a tax pro. Nor do I desire to be one. Currently, in Ohio, we pay 6.2% social security tax + 1.45% medicare tax on an employee salary (7.65% total). On a $50,000 salary, that adds $3,825 annually. What about a contracted agency? Zilch. Nada. Look at the chart and pull the numbers for the benefits you offer to get a more precise number. You may pay a bit less. If you offered everything listed above, on a $50,000, you’d be added another $15,100/yr in benefits. What does a new inbound marketing millennial need to run campaigns? $2,000 / 2 years = $1,000 per year. These are probably the least considered costs but definitely necessary. Now, if you’re a nerd like me, you’ll take the average rent per square foot multiplied by their workspace square footage to find the average cost for space. Sure, you can get more granular, but that’s the easiest for us. If you have more people, the cost will be a bit lower. But if you’re a 15-person team and you pay $600/mo ($7,200/yr) for utilities & internet, then you’re paying $480/yr for each employee. All the money aside though, it really comes down to how valuable an inbound agency vs. an in-house hire is. Who can provide the most value (i.e. ROI) for the spend? The good thing about an in-house hire is that they’re always three steps away. You can pop in their office and put them on another task on command. However, the true challenge lies in their ability. Running killer inbound marketing requires not only marketing skill, but design, development, writing, and project management skill, too. They may be able to stay afloat for a few months, but as the inbound efforts start compounding, it’ll quickly turn someone into burnt toast. ..all experts in their individual fields. All masters. 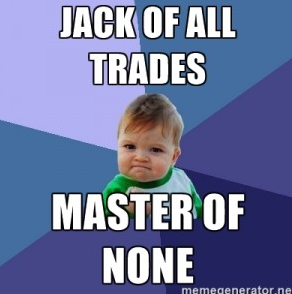 However, if you do happen to find someone who is a master of all five of those areas, give me a call. Because you just found a unicorn. When it comes to getting stuff done, there can’t be major lag. You: Joe! I had this great idea. To increase our lead generation efforts, what if I held a webinar on ______ and launched it by Friday? *Finishes his current project and begins setting up the webinar, building the webinar landing page, writing follow-up emails, writing the announcement email, scheduling social media posts to promote it, and writing Facebook ad copy for a paid campaign on Friday at 4:30pm. You (on Monday): Hey, Joe! Is everything setup? Joe: No. Give me the rest of this week. As an owner, you’ll have a million ideas. But there are about 50 tasks associated with every campaign idea you have. For one person, setup time is ample. But what if the campaign was timely? What if you were trying to run a Black Friday campaign? Then it’s even more important to prepare and launch everything on time! Late execution can be costly. Making the decision to hire an inbound agency or in-house isn’t an easy task — but it’s a necessary one. While I may be a bit biased (I own Flight Media, an inbound agency), I’m a very analytical guy. Run them, tweak my numbers to your situation, but whatever you do, educate yourself before making impactful decisions. 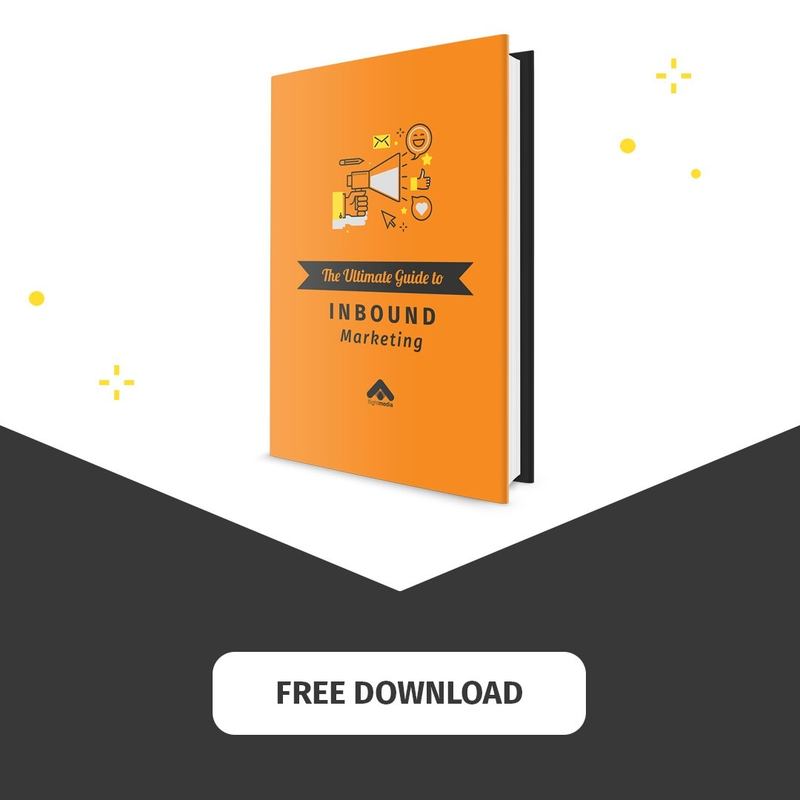 With traditional marketing continuing to fizzle out, inbound is the new standard. Whether you try to find a unicorn or hire an agency, it’s essential that you move forward in the age of inbound. What has been your experience? Do you see the value in an inbound agency?